If Facebook is part of your small business’ social media and online marketing strategy, and you want to be as effective as possible with your Facebook Business Page, then setting aside part of your advertising budget for Facebook ads and developing a strategy for those ads is essential. Why Facebook Ads for your Small Business? Long gone are the days when good content and organic Reach were the powerful one-two punch to getting your most important information in front of your key customers on Facebook. As Facebook has continued to change its News Feed algorithm, the organic Reach the average Facebook Business Page receives has been purposely decreased by Facebook itself. It is now so low (less than 1-2%) that many businesses and non-profits are reconsidering what role their Facebook Business Page can and should play in their marketing mix going forward. The good news is that Facebook ads deliver the best bang for your online advertising buck. You don’t need a big ad budget to reach your most valued customers. And speaking of reaching valued customers, Facebook Ads also offer amazing targeting ability. As the social media platform with the highest number of users, Facebook has gathered an incredible amount of data on all of us, and you can harness the power of that consumer data for as little as 5 dollars a day. Further, all that data can be used for your benefit with the amazing targeting capabilities possible with Facebook ads. So now that you know what can be achieved with Facebook advertising, the next question to ask is: Do you know how to setup a Facebook ad using Facebook’s Ads Manager (and not simply clicking on the blue Boost button)? Do you know how to research and target your ideal customer? Do you know how to gather website visitors to later advertise to? Do you know about all the Facebook ad types, and the pros and cons of each? 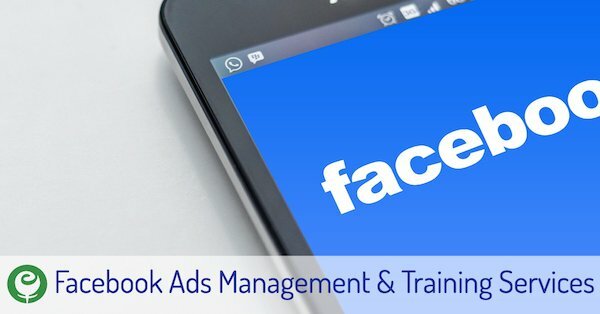 We can research, setup, and monitor your Facebook ad campaigns for you, or we can train you how to manage your small business’ Facebook ads yourself. Conduct Facebook audience research to identify strategic ad targeting options. Recommend images and ad copy. Use the best ad type and ad tool for the campaign. Build your ad and monitor its progress until the campaign ends. Split test your ads (as needed). There is a one-time Facebook ads account setup fee. We will assist you in setting up your ads account on your end (if you haven’t already), perform initial audience research targeting options (which we’ll share with you), generate and add your Facebook pixel code to your website, and create a couple website custom audiences as well as a custom audience based on Page engagement. Walk you through setting up an ad using the Boost Button and Ads Manager. Assist you with your first ad research and setup. This ad can be used as a basis for future ad campaigns you build and manage yourself. 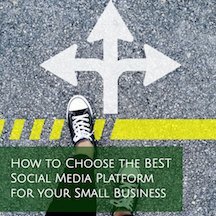 Do either of these Facebook Ads services sound like they could help you and your small business? Contact us at 901-496-3902, email us at Info(at)EliRose.com, or complete the contact form below.